Owners hold key to healthy weight by ignoring “begging” and monitoring food quantity. There is remarkably little understanding of how much food cats and dogs need or what they should or should not eat and most owners have no idea whether their pet is overweight or not. 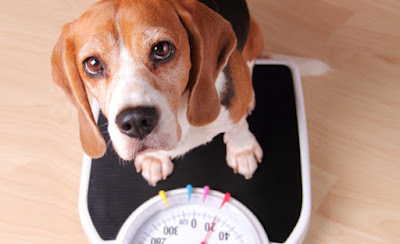 Estimates suggest that as many at 59% of dogs and 52% of cats worldwide are overweight. 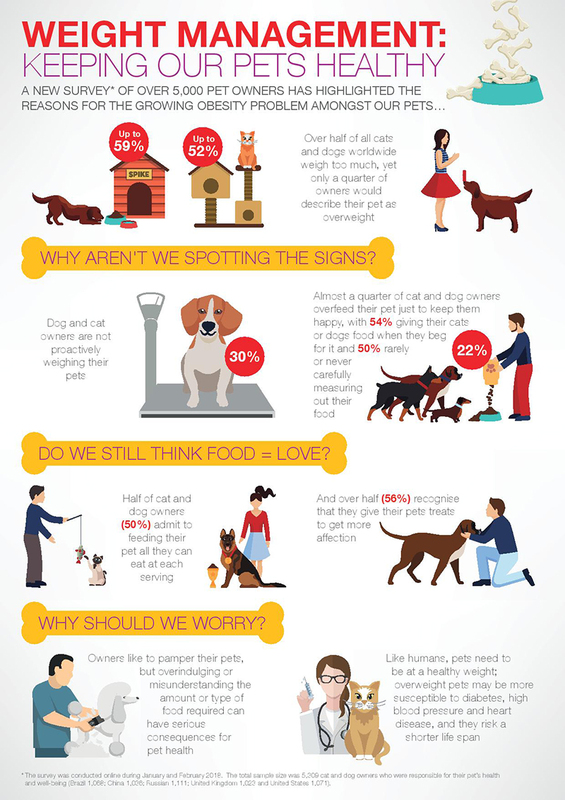 Yet in the survey, only a quarter of cat and dog owners (24%) describe their pet as overweight. However, when asked whether their cat or dog exhibited any of the signs of being overweight, 64% indicated that their pet currently has at least one sign of being overweight (such as not being able to feel their pet’s ribs or having had to loosen their collar). 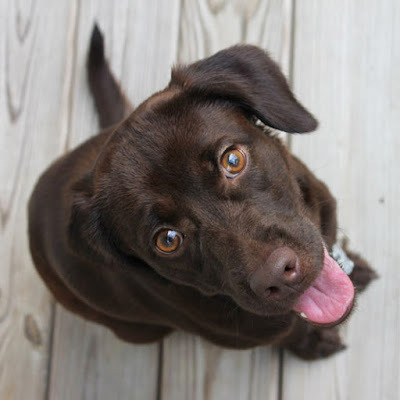 The strong emotional bond between owners and their pets may be part of the issue. Many owners express affection for their pet through feeding which can easily lead to the pet consuming more calories than it needs. In the survey 59% of cat and dog owners said that they feel rewarded when feeding their pet and 77 percent said their animal gets excited when they feed it. Unfortunately, many owners are not fully aware of the consequences of over-feeding their pet. 61% of survey respondents were unaware that overweight pets may be susceptible to diabetes and orthopaedic disease and a similar lack of awareness was associated with reduced quality of life (53%), the risk of heart disease (53%) and a shorter lifespan (51%). Many people monitor their own weight regularly, yet 40% do not know how much their cat or dog weighs and 22 percent say their pet has never been weighed. 72% of respondents said their vet had spoken to them about the emotional and health benefits of diet and exercise for their pet. 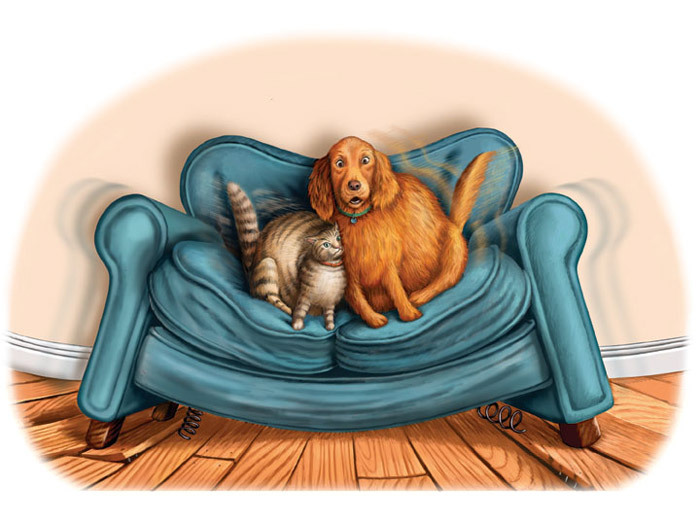 But two-thirds of cat and dog owners would like their vet to more actively advise them on their pet’s weight (67%). 82% would like to be given healthy weight guidelines for their pet and advice on keeping them fit and healthy. The Royal Canin Weight Management Congress is a two-day interactive event being held at The Nottingham Belfry Hotel on February 21-22, 2018. Mars Petcare is the world’s leading pet nutrition and health care business that strives to bring to life their purpose 'A BETTER WORLD FOR PETS'. Mars Petcare believes that pets make our lives better and that pet ownership brings joy and benefits which should be accessible to everyone. Mars Petcare has a total of 45 brands in their portfolio and more than 70,000 associates worldwide.